The Rational Helper: Is getting rich worth it? While surfing the web this morning I came across this piece, Is getting rich worth it? To me being rich is a relative term. 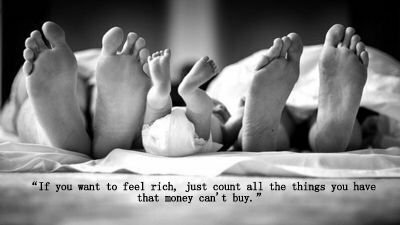 Every person have different measurement to riches. Also the criteria of being rich might be different. I would like to become rich to obtain freedom and being able to assist people in need and not driven for big bank balance and huge bungalows. After surveying thousands of people, the researchers determined that while wealth is nice, the "Happiest" income was $75,000/yr, typical commute was 20mins, and average work week was only 33hrs. My previous post how much salary will make you happy? has more information. "I sold my trucking company in the late 90's and had the kind of money that I consider to be "rich" I found out this one thing, and it will stay with me forever. Money buys comfort, comfort is not happiness, or satisfaction. I felt as empty as a drum for the next few years. While it is good to be comfortable it is more satisfying to be happy." I think the question should be "Does money bring happiness.?" rather than "Is getting rich worth it?" money does increase life satisfaction, you sure?